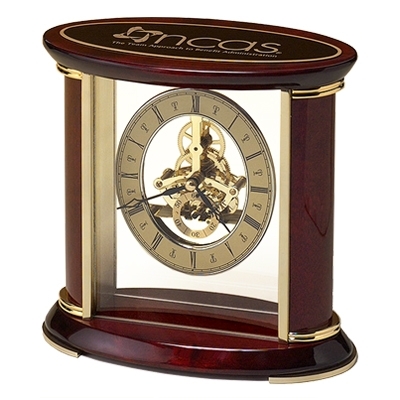 This elegant skeleton clock has a sub-second dial, brass-finished movement and rosewood piano-finish accents. Perfect for that special Retirement Gift or Executive Recognition! An oval black brass plate can be laser engraved with your custom information. Batteries and gift box are included.